in the middle of a trip, just enter the new destination in the Grab app and let your driver know. subject to a surcharge, and can only be done once per trip. In your Grab app, tap on your current drop-off location. Let your driver know you want to change your destination. Enter the new destination & you’ll be shown an updated fare. Confirm the change and ride to your new drop-off point. Applicable for JustGrab, GrabCar, GrabFamily, GrabAssist, GrabCar Plus, 6-seater (Economy), GrabCar (Premium) and GrabCoach. add an extra stop before you book a ride. Tap the “+” button next to your first Drop-off location. Key in the location of the extra stop and book your ride! 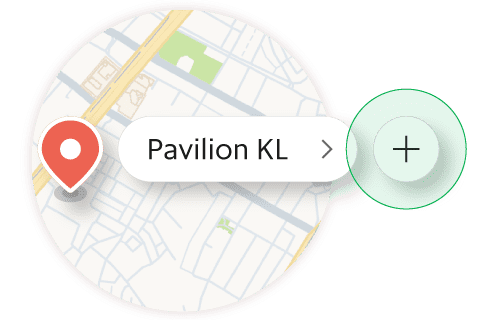 Can I change my drop-off point with GrabShare? No. For GrabShare, the drop-off points are fixed. Passengers are unable to change their destination after they have requested a ride. Can I change my drop-off point for bookings with multiple stops? No, you cannot change your drop-off point for bookings with multiple stops. How many times can I change my drop-off point? You may change your drop-off point only once during your ride. 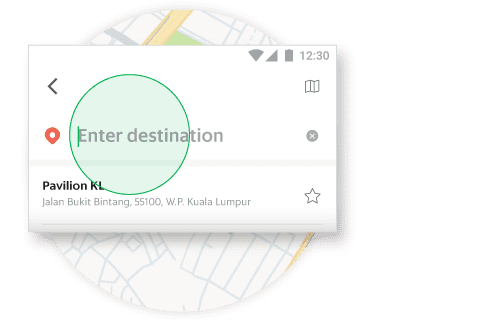 Do inform your Grab Driver before entering your new destination. I’m shown a new upfront fixed fare after entering my new drop-off point. How is this fare calculated? The fare is based on (1) distance already travelled, (2) the distance to the new drop-off point, (3) any high-demand pricing present at time of original booking, and (4) includes a ‘Change Drop-Off’ surcharge. I’m using a promo code for the ride. If I change my drop-off point, will the discount still apply? The GrabRewards points received at the end of the ride will be based on the updated fare. We will re-validate the promo based on the updated location and fare. If valid, the promo will be applied automatically. You will be informed if the promo is invalid for the updated location and fare. You may then use this promo for another ride. Will the GrabRewards points I receive be based on the previous fare or updated fare?